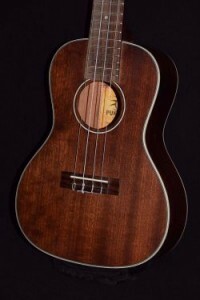 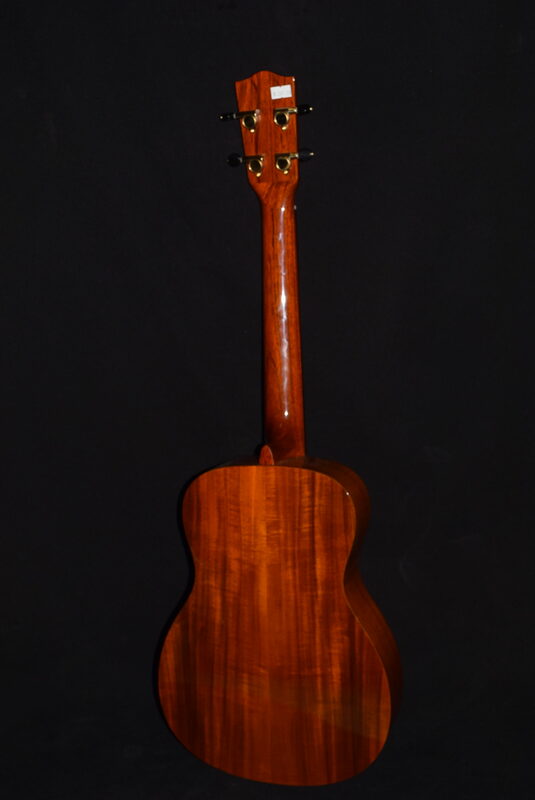 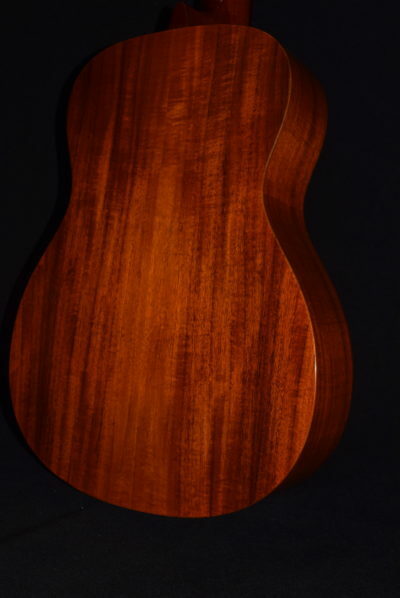 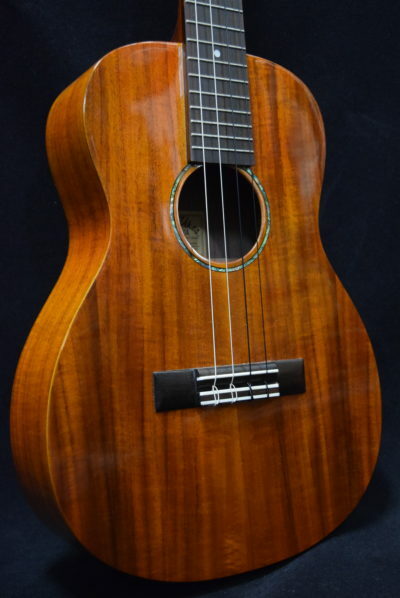 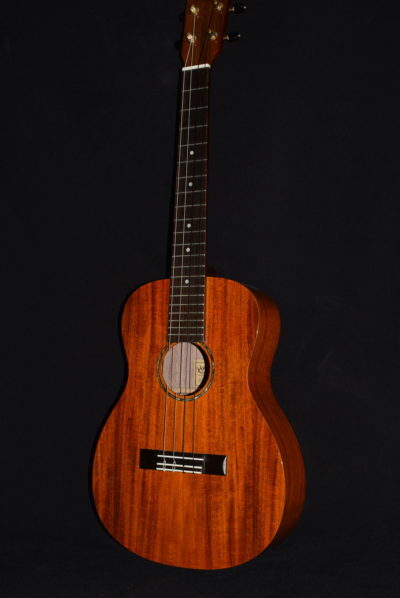 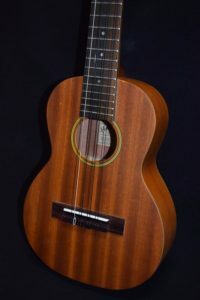 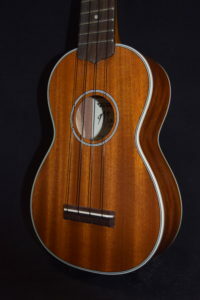 Hula Ukes Koa Baritone:Tuned like the 4 high strings on the guitar (EBGD). 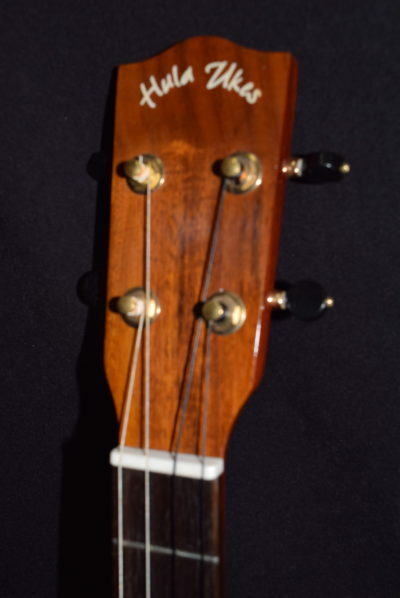 21 med. 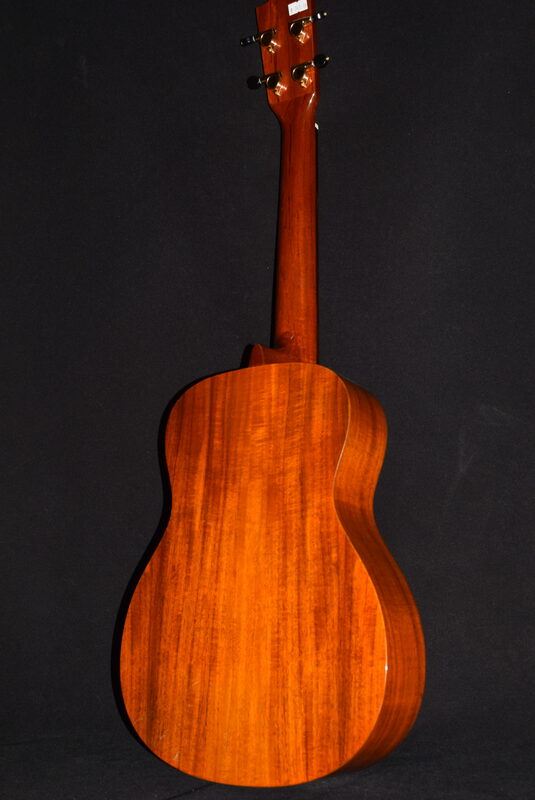 nickel frets. 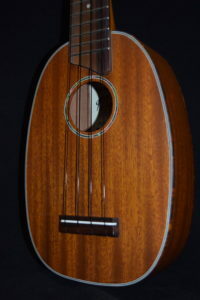 Great tone! 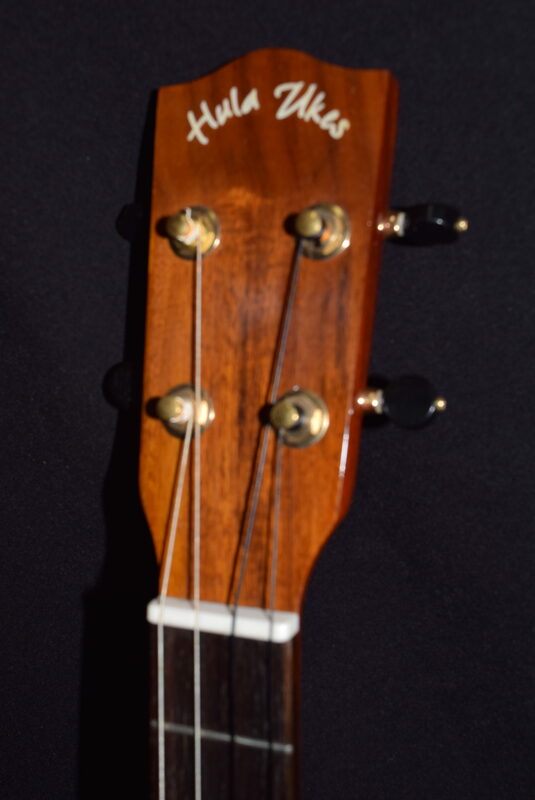 Rosewood fingerboard and bridge, bone nut & saddle, die-cast nickel-plated 18:1 precision geared tuners. This great sounding , inexpensive model Koa laminate model Comes in various Koa shades and strung with Echoes of Aloha Strings. 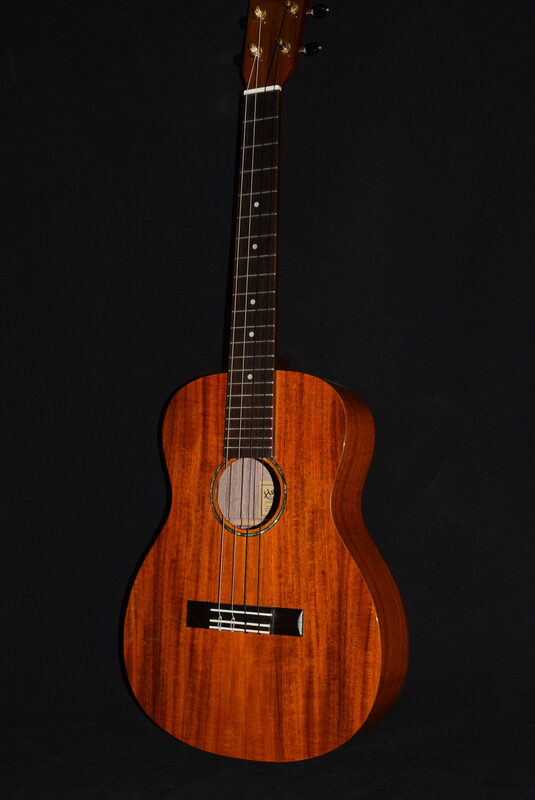 Check out our solid Koa Baritone models at $599.